Welcome to Khaosan Kyoto Theater!! 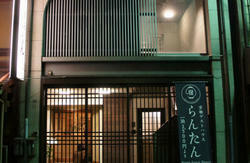 Newest branch of No.1 hostel group Khaosan Tokyo Guesthouse!! 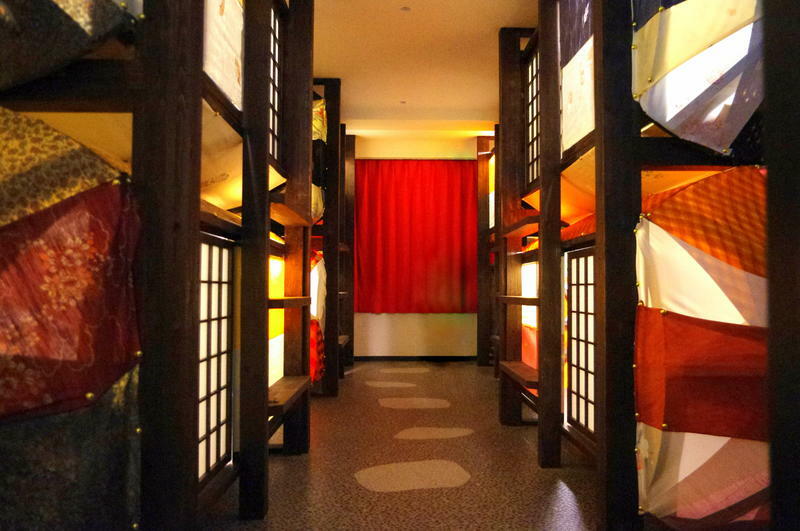 *5 min walk from Kawaramachi station (Hankyu Line) where the heart of Kyoto city! *Free WiFi and guest PCs are available every floor/room. *We have a cool lounge with great atmosphere which definitely easy to make new friends. *Fully equipped kitchen with dining space+ free coffee, tea, green tea and some seasonings are provided. *Multipurpose room has laundry, library, vending machine(drink/noodle) and sunshine balcony. We do not offer luxury five star accommodations, however, our concept is Great Value, Comfortable, Clean and Friendly for All Guests. * 5 min walk from Hankyu line Kawaramachi station. * Free tea, coffee and Japanese tea. * All beds has locker for your variables. + If you need an arrangements for early check-out or late check-in, please inform us in advance via e-mail. 90% of room fare shall be charged if your cancellation date is on the accommodation day. If we could not confirm your arrival by 24:00 in the midnight, we consider the guest as NO SHOW CASE and we cancel the booking. Please note that we charge 90% for the first night.. Please inform us your amendment detail (date, room type etc..) with your reference number. Also please make sure that send us e-mail at least 2 days in advance since we arrange your booking in accordance with our cancellation policy. 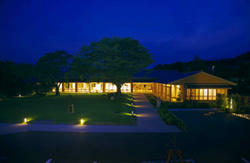 +Our reception business hour is 08:00 ~ 21:00 based on Japan Standard Time. We do not accept credit cards/debit cards. Please make sure to exchange some currency into Japanese yen (JPY). Thank you for your attention. We are looking forward to seeing you soon! Be Happy @ Khaosan Kyoto Theater! We recommend you to take a taxi if you are a group of three or more. It takes only 10min and costs about 1000yen. Get out from the central exit of the station. Then take the bus #5 from bus platform A1. Get off the bus at 7th stop Shijo Kawaramachi. After you got off the bus start walk same direction as the bus. Then you will turn the first corner to the left. 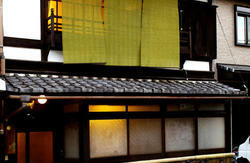 Then you will get into a shopping arcade called shinkyogoku. Across this right front direction then there is another one next to it called 'Teramachi' Across this street and next corner turn right. (There is a cafe called 363) That is 'Gokomachi' street and walk 1min you will see us on your left. Take the subway 'Karasuma line' from 'Kyoto station' to 'Shijo station' (2stops/3min/210yen) Get out the ticket gate then you need to transfer to the other line called 'Hankyu line' You will have a short journey to 'Kawaramachi staton' (1stop/2mim/150yen) Take exit 10 then you will se the arcade which written 'TERAMACHI' on the other side of the road. Walk in to this shopping arcade and walk straight 5-7 min you will see post box and convenience store 7eleven on your left. Walk in this street turn left again at 7eleven. Then walk about 1,2 min(withing 1 block) down this street, you will find us on your right.